Marie Fredriksson, Per Gessle and Clarence Öfwerman and Christoffer Lundquist spent the last three days in the Atlantis studio in Stockholm recording Marie’s vocals for the upcoming Roxette album. We remember that “Have a nice day” and also “Room Service” were recorded there as well. Per Gessle commented on Marie: “Marie’s voice = splendido”. Here you can see a new picture from the studio which Per Gessle uploaded only some minutes ago on his new website on Snowfish. Studio time is also booked for the Polar studios in Stockholm. So until now we don’t know if Marie finished her recordings or if there is more to come. If they managed to record all her parts in three days we comment on this with: Wow, that was fast. A happy and splendid new year to all of you. .. the recordings of “One Wish” and “Reveal” in 2006 didn’t feel right or THAT good and that it feels different now with the recordings of the new songs for the new album and that it feels much different and better now and that Marie changed a lot. .. he didn’t expect such a huge response on the Night of the Proms and was overwhelmed, especially with the support in Germany. .. Marie is more involved in the recordings now, she is more interested in Roxette and the new album than she was in 2001 with Room Service and that she is not just there to sing but is interested in working on it and brings her own ideas. .. there was a time when he didn’t think that they will ever work together again because Marie felt so bad. .. half of the songs are written for him, half for Marie. Marie hasn’t written anything for the album. He would like Marie to sing it all, but he thinks that’s not possible so he has to fill in here and there. .. he sees Roxette performing again, because “that’s what we want”. .. they are in the studio until midsummer. Then there may be rehearsals if they decide to do concerts. .. next year there will be nothing but Roxette. Listen to the interview on Radio Halland. With that I wish you all a splendid new year! We see us in 2010. 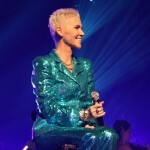 With Marie Fredriksson in top shape the three Frankfurt shows were the peak for Roxette on the Night of the Proms-tour so far. Frankfurt was cooking, the audience was incredible and together we let fly around 50 balloons during “Joyride”. Marie rocked the stage like never before and blew the hall away. 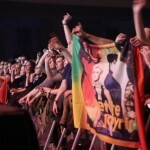 Here you can see some pictures of the gig in Frankfurt on saturday, December 5th. For more information about the NOTP gigs visit our partner site RoxetteBlog. Last friday the Nokia Night of the Proms continued in Germany. Here you can see some photos of Marie from the 2nd Hamburg show on saturday. For more information about the tour and the concerts visit our partner site RoxetteBlog. 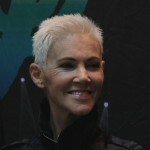 At the moment, Marie Fredriksson is on tour with Roxette. 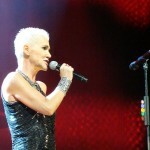 Until December 20th, Roxette do 42 shows in Belgium, The Netherlands and Germany for the “Night of the Proms”. Check our partner site RoxetteBlog for more information! Roxette performed at the “New Wave Festival” in Jurmala, Latvia, last night. They sang four songs – Joyride, The Look, It must have been love and Listen to your heart. Obviously The Look and Joyride got a remaster and sounded different to the album versions. Listen to your heart and It must have been love sounded like ever, though. You can watch Listen to your heart (poor quality!). The Daily Roxette offers a new picture of Roxette – taken at Per Gessle’s last concert on his Party Crasher tour in Cirkus, Stockholm. Rickard Eriksson took the b/w photo. 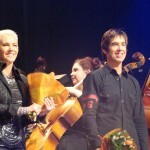 Marie Fredriksson and Per Gessle will be part of this year’s Nokia Night of the Proms as we already reported. 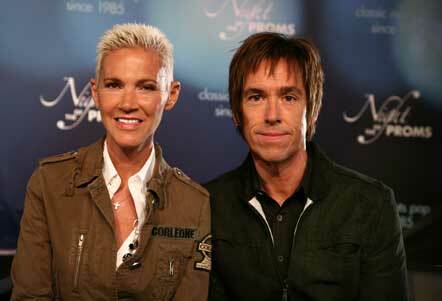 Here you find some new pictures of Roxette.